The Lamb Inn | Pub Quizzers | Find a pub quiz near you, now. 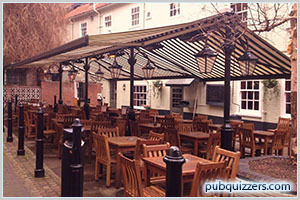 Pub quizzes take place at The Lamb Inn, Orford Place on Thursdays (occasionally) at 18:30. Entry is £10.00, you can have up to 4 people on a team. There are prizes of spot prizes. Happy quizzing! Quiz Night in aid of East Anglia's Children's Hospices on the 14th of November.